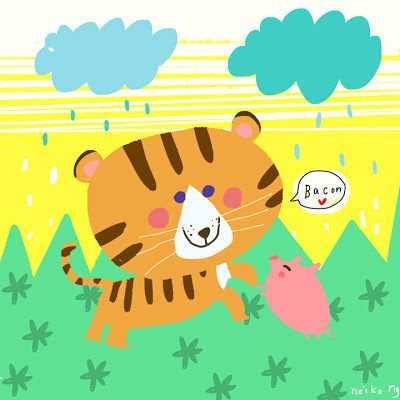 cute tiger design! and cloud! hahaha bacon >< so cute awww! this painting makes me happy, and boy that pig doesn't know what he's getting into. How this can be SO CUTE!! i want one for ME!